Happy Halloween to you all. I mentioned yesterday that this is one of my favourite days of the year and most of you will know I love a good chilling and creepy tale. One of the most recent spooky tales that I have read is The Year of the Ladybird, even subtitled ‘a ghost story’, by Graham Joyce. Many of you will know that sadly Graham Joyce passed away last month which was so sad to hear, especially at the mere age of 59 and because he is such a wonderful writer and storyteller. It was Gav who decided that for his choice for Hear Read This we would read his final novel, one which he had discussed with us on The Readers when we interviewed him about the amazing Some Kind of Fairy Tale and which I bought as soon as it came out in paperback. It is the summer of 1976 and a heat wave has hit Britain, the hottest since records began. David, a young man who wants to go and find out more about the world, takes a break from his studies to become one of the staff at a holiday camp beside the sea and sands. David has decided that this first taste of true freedom away from the world of his mother and step father will be a big adventure. Yet as he gets to know the people behind the smiling ‘employee’ faces of the holiday park he soon discovers a much darker side to their characters and the society of the day. He also becomes aware of a man and young boy who seem to be following him, yet who can disappear without a trace. I was an Alice in Wonderland. It was a world I knew nothing of, hyper-real, inflated, one where the colours seemed brighter, vivid, intense. I was excited to be working there, being part of it, but the truth is I felt anxious, too. It wasn’t just about being an outsider, it was the strangeness of it all. Many of the staff I met were odd fish. I had a crazy idea that they all had large heads and small bodies, like caricature figures on an old-style cigarette card. With The Year of the Ladybird Graham Joyce was an absolute master of tension and an ominous atmosphere. Holiday camps are of course places of fun for all the family. You have the sand castle competitions, the donkey rides, the camp and ridiculous games and shows. Joyce marvellously gives all these things a sense of menace be it with an act of violence at the end of a singers act, be it the little looks certain staff members give each other, or be it an incident with the donkeys that goes from being very funny to something bordering on animal cruelty. Everything that is glitz, glamour and fun has its own rotten underside. Even ladybirds can become small monsters when arriving on mass. Every bit of beauty, glitz, glamour and camp has its rotten underside. Like the heat the tension crackles through it. What also adds to the tension is our protagonist and his general naivety. David is a young man who is excited and almost overawed by all he sees and those he meets. There is quite a cast of characters at this holiday camp and almost every one of them has a darkness about them be it Tony and his illusions and control, the grumpy Dot running the uniforms who almost enjoys giving you the wrong size, the all too camp and nice to be true Luca or Nobby who lets say lives up to his name. David’s actions are also occasionally unwise, and not always moralistic, even if accidental. Firstly he falls head over heels from the woman that he really shouldn’t. Terri is the wife of the over bearing and brutal Colin, should you talk to him the wrong way, let alone look at his wife, and you might find yourself in more trouble (and possible pain) than you could bargain for. In his keenness to get to know Terri, David sort of befriends Colin accidentally and it is through this friendship that another tension arises as Colin takes him on a day out which ends up in a meeting of the National Front (which I am amazed is still going) and shows him some of the darkest and most unnerving side of society and politics. I was chilled before we had even got to the actual ghost of the tale. It was the man in the blue suit I’d seen on the day of the sandcastle competition. He was hugging a child – presumably the boy I’d seen. Maybe the blue suit was made of some synthetic material because its threads caught in the sun’s rays and darted light. He had a rope coiled over his shoulder. But then the sun darkened and I felt dizzy. My breath came short. I heard a groan way off – way out to sea and I felt an uncomfortable panic, triggered by something very old shifting deep inside me. I looked up. The man and the boy had turned to look at me, perhaps because I was acting oddly. But their faces were in the shadow. It made no sense. They were turned full on to the sun, but their faces were grey flat and smooth like beach pebbles, almost in silhouette. Even though their faces were indistinct, they peered back at me with suspicion, as if I had somehow meant to harm them. I felt a wave of revulsion. My teeth chattered. Any of you who read this blog regularly will know I love a ghost story yet I am very picky about them. I have read many a novel where I have been thoroughly creeped out throughout until the ghost reveals itself and I think ‘really, that was what was scaring me?’ and being let down by the ghoul/demon/monster. I have to admit that I didn’t feel particularly chilled by the ghost of the man in the blue suit, which of course inspires the American title of The Ghost in the Electric Blue Suit, more puzzled and intrigued by who he and the little boy were. Without giving anything away, I liked the eventual reveal (even if I sort of guessed it, being a guesser) and the story that it told. Once you have read it, which you should, you will know what I mean. The same happened with the ladybirds, I was intrigued by the phenomenon of this plague of cute insects but not left as scared or freaked out by it as I was expecting. Yet I don’t really think that is where Joyce wants us to be chilled and creeped out. As with Some Kind of Fairy Tale, the chilling moments happen where you might not expect them. For me personally it was the sections involving the National Front that I found to be the most chilling parts of The Year of the Ladybird. Firstly there is the fact that from a historical context this was a ‘political party’ of neo-Nazi’s who started to do well in the local elections when the big parties were leaving people feeling disillusioned. They thrived by spreading a campaign of fear and bullying and even horrific acts of violent protest. This is all the more chilling as currently here in the UK we have a party doing that, without the violence, and then worldwide we have ISIS and other terrorist groups who create a world of fear. 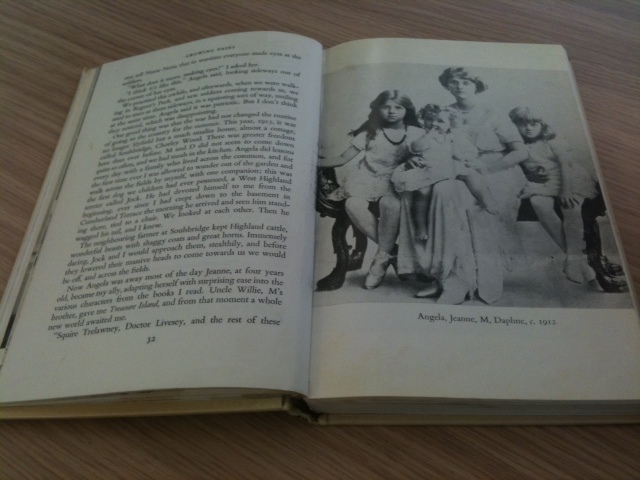 Joyce looks at their motives and also their attitudes which makes for some uncomfortable reading in all sorts of ways. The Year of the Ladybird may not be a conventional ghost story, in fact to me it is more a case of a story about the darker aspects of humans with a ghost in it. It is a tale of the fear that we humans can create in bullying and violence and how some people can be irrationally afraid as what they see as different or wrong and what that fear within them can do. 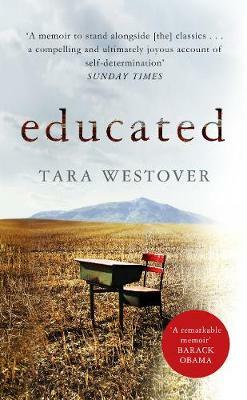 For once the blurb on the back of the book didn’t lie when it said ‘this is a novel that transcends the boundaries between the everyday and the supernatural while celebrating the power of both.’ It is also a book that looks at the darkest of shadows in the world, even on the sunniest days of the most humid heat wave. If you would like to hear myself, Kate, Rob and Gav talking about the book in even more detail, and also getting all their views on it, check out this episode of Hear Read This! If you would like to hear myself and Gavin interviewing Graham almost two years ago and discussing the wonderful, wonderful Some Kind of Fairy Tale you can do so here. Graham Joyce will be much missed and I cannot help think of all the wonderful stories he had still to tell, though fortunately (in a slightly odd way) I still have most of his works to go back through. Who else has read The Year of the Ladybird, or indeed The Ghost in the Electric Blue Suit, and what did you make of it? Which other of Graham’s novels would you recommend I head to next? What have you been reading this Halloween? One of my favourite feelings is when you discover a book by one of your favourite authors that is no longer in print in the most unlikely of places. 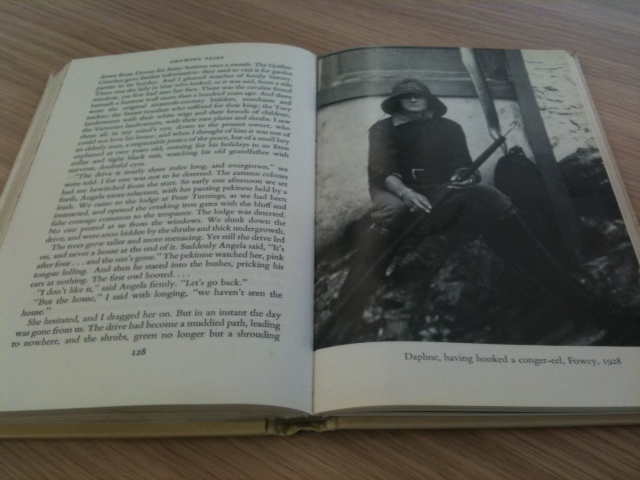 Once such incident happened sometime last year when I visited the local hospital and discovered a discarded ex-library copy of ‘Growing Pains – the Shaping of a Writer’ by none other than Daphne Du Maurier. It was made slightly the more joyous a find because I had no idea that this book even existed. 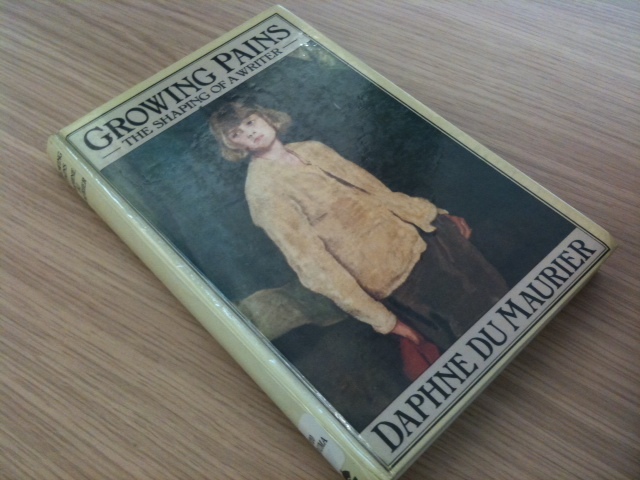 It is probably best to let Daphne Du Maurier explain herself what ‘Growing Pains’ is about, which fortunately she does in the author’s note at the start of the book. ‘The following pages will, I hope, give me the answer. They cover my thoughts, impressions and actions from the age of three until I was twenty five, after my first novel had been published. I was uncertain of myself, naive and immature, and readers looking for deep thoughts and words of wisdom will be disappointed.’ The last part of which I couldn’t disagree with more as this is an incredibly insightful account of her life through retrospection, and also a very honest one. Daphne tells us of her childhood and how important stories were too her, though oddly not a fan of fairy tales (which I would have given anything to ask her more bout) she grew up with a highly over active imagination. Before she could write properly she announced to a new governess that she had written ‘an entire novel’ when in truth, and soon discovered, she couldn’t write a sentence. She always wanted more from stories and would ask when a book was finished ‘why is that the end’ or ‘why did that person live in a wood’, she wanted to inhabit and create a stories entire world. This in turn lead to worrying developments after her imagination went into overdrive as she started to believe her mother actually was the Snow Queen in the book she was reading to Daphne and her sisters. In fact Daphne never quite shook this feeling. Which made me think about the interesting relationship rumoured between Daphne and her father. It was an almost obsessive hero worship. I didn’t want ‘Growing Pains’ to end! I know some of it is written from the benefit of hindsight, some of it will shroud the darker elements or highlight the brighter memories but I just loved spending time with Daphne reminiscing. Of course, she could have written it to make herself sound a certain way, but with a girl and woman like Daphne I don’t think that’s the case. Someone please reprint this book! UPDATE: Thank you for letting me know that this is in print but under the name ‘Myself When Young: The Shaping Of A Writer’ – oops!